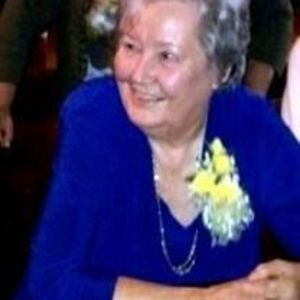 Ruth Alma Hough Coffey Russell, 88, of Liberty passed away peacefully on Thursday, March 23, 2017 at Clapp's Nursing Center. Ruth was a loving mother, grandmother, and great-grandmother. She was an integral part of the Teen Challenge Ministries for many years. Ruth was a faithful member of Freedom Family Church. A funeral service will be held on Saturday, March 25, 2017 at 3:00 p.m. at The Loflin Funeral Home Chapel with Rev. Randy Hand officiating. A graveside funeral service will be held on Monday, March 27, 2017 at 2:00 p.m. at Fort Lincoln Cemetery in Brentwood, Maryland. The family will receive friends on Saturday, March 25, 2017 from 1:30 until 3:00 p.m. at Loflin Funeral Home, Liberty. Ruth was the daughter of the late Richard Henry and Elzora Pomeroy Hough and was also preceded in death by two husbands, Vance Stephen "Jay" Coffey, Jr. and Albert Branson Russell; sisters, Jean Dovel, Virgie Ainsworth, Elizabeth German, and Fannie Willingham; brothers, Carl Hough, James Hough, Travis Hough and Francis Hough and son-in-law, Bill Shaffer. Surviving are her daughters, Janice Coffey Shaffer of Pleasant Garden, Debra Coffey McGinty and her husband, Kevin of Oak Island, Rita Coffey Canady and her husband, Curtis of Greensboro, Teresa Coffey Bruchon and her husband, Mike of Liberty; son, Ronald Stephen "Steve" Coffey and his wife, Carol of Maryland; sister, Lula Brown of Florida; step-children, Randy Russell and his wife, Brenda, Barbara Russell Walsh and her husband, Kenneth, Tracie Russell, Robin Russell Durham, Lori Russell McCravey, Kelley Russell Donithan and her husband, Mitchell; 36 grandchildren, 43 great-grandchildren and baby Jacob on the way. In lieu of flowers, memorial contributions may be made to Greater Piedmont Teen Challenge, P.O. Box 77914, Greensboro, NC 27407. Loflin Funeral Home, Liberty is honored to serve Ruth's family.